In recent health news, researchers have discovered that vitamin C supplements may not be the best when it comes to the health of your heart. According to medical professionals from a very reputable medical institution (Cedars-Sinai Heart Institute in Los Angeles), supplementing with vitamin C could accelerate early atherosclerosis, whereas taking in vitamin C from food offers protective benefits. The Los Angeles research team came to these conclusions after conducting a study to determine the role of vitamin C intake from supplements versus food in people with early atherosclerosis. This disease, characterized by a thickening of the arteries, was detected by measuring carotid intima media thickness (CIMT). CIMT is a non-invasive test used to assess the amount of plaque located in the carotid arteries, which are the major vessels that supply your brain with blood. The research team noted that dietary vitamin C appears to have anti-oxidant properties and beneficial effects on heart function. It stands to reason that supplementing with vitamin C could play a protective role in preventing heart disease. However, that’s not so, according to the researchers. To check out the situation, the researchers examined the three-year progression of CIMT in 573 healthy women and men, aged 40–60 years. Intake of dietary vitamin C was measured along with the intake of vitamin C from vitamin supplements. The research team found that CIMT progressed for everyone. However, for those who took vitamin C supplements, CIMT progression increased with each dose. 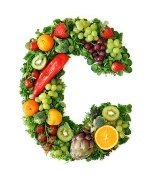 Even more surprisingly, among persons with the highest intake of vitamin C supplements, compared to those who were not consuming any vitamin C supplements, CIMT progression increased three-fold. What’s more, the adverse association of vitamin C supplement intake with CIMT was two-times greater in those who had higher cholesterol levels compared to those with lower levels. PLUS: More info on heart-healthy foods. The researchers concluded that vitamin C supplementation is associated with accelerated early atherosclerosis compared to the protective association that vitamin C from food gives. They offer this health advice: given these observations, the researchers don’t advise taking vitamin C supplementation for the prevention or treatment of atherosclerosis. If you have early signs of atherosclerosis, talk to your doctor to determine the best preventative measures. In the meantime, make sure you get lots of vitamin C from the foods you eat. Agarwal, M., et al., “Differing Relations to Early Atherosclerosis between Vitamin C from Supplements vs. Food in the Los Angeles Atherosclerosis Study: A Prospective Cohort Study,” Open Cardiovasc Med J. 2012; 6: 113–21.